You asked for it* and here it is at last: The Ultimate Homophone Megatest! Score 20/20 to be in with a chance at an exciting** prize. It’s time for the Ultimate Grammar Police Exam! Only applicants who achieve full marks on their first attempt will be promoted. The deadline: Monday 11th April. Are you amazing at apostrophes? All students achieving 10/10 will be entered into the draw for Star of the Week – so what have you got to lose? 651 of you attempted our Grammar Police Promotions Test; only 78 of you achieved the pass mark of 10/10 – and of that 78, only 30 managed it on their first attempt! We will be issuing certificates over the next week to all students who achieved the pass mark on their first attempt. These students are now official Grammar Police Sergeants. If you weren’t successful this time, do not be disheartened. Below, we’ll discuss the answers to the trickiest questions in the test. Here, the correct answer was the semicolon – as you shouldn’t use a comma to separate two main clauses. 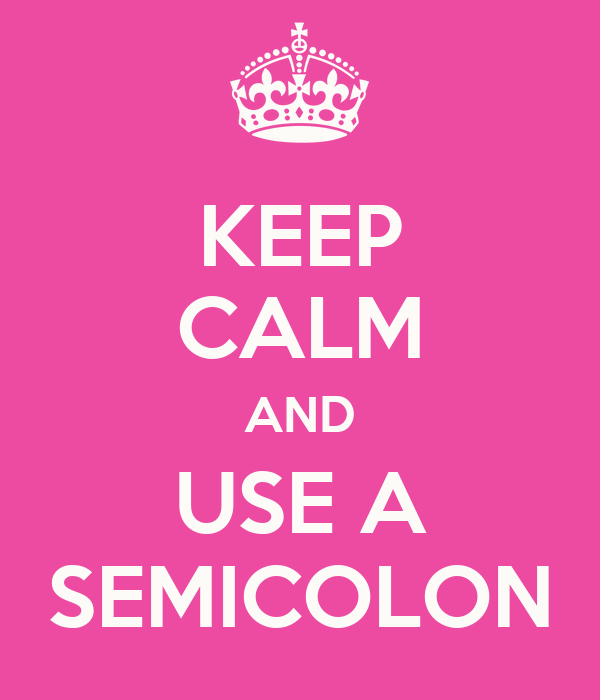 If you’d like to know more about semicolons, look no further. Almost 2/3 of our applicants got this question wrong. The correct answer is ‘bear’. ‘Bare’ can mean not covered or unsupported or basic. The meaning we needed was tolerate – and for that, we needed the word bear. This was a rather difficult question, and the correct answer was There is a comma splice, which 57.3% of you worked out. Comma splicing is when we join two separate sentences with a comma, when we should be using a full stop or a semicolon. If you got this one wrong, have a look here for guidance on how to avoid comma splicing. Almost a third of you got this one wrong. We needed the verb affect, and not the noun effect. (Effect can be a verb, but it has a very specific meaning that most people don’t use.) You can find more information on this here. More people got this one wrong than right. We needed the spelling fazed, as to faze means to disturb or unsettle. To phase is to carry out in gradual stages. Thank you to all of our applicants – regardless of whether or not you’ve been successful this time – and don’t forget to keep an eye out for your next opportunity to join the privileged ranks of the Lutterworth Grammar Police! Looking for a quick and easy way to vary your sentence structuring to (a) improve your writing and (b) increase your marks? You need to understand the difference between a main clause and a subordinate clause. Complex sentences contain main clauses (which can be sentences by themselves) and subordinate clauses (which don’t make sense by themselves). You should build a youth facility on the land because it will enhance opportunities for young people in the area. This could be a sentence by itself, complete with a capital letter and a full stop. This can’t be a sentence by itself, as, if we popped a capital letter at the start and a full stop at the end, it would sound ‘unfinished’. When you leave, shut the door. If you want to kiss me, just ask. I wanted to kiss him because he is beautiful. I like children, although I couldn’t eat a whole one. Because it will enhance opportunities for young people in the area, you should build a youth facility on the land. Activity 2: Rewrite these sentences so that the subordinate clause is fronted. I will continue to support the plan even though I disagree with many of your arguments. I was disappointed by the result of the action despite expecting it. The uniform policy at Lutterworth College is in desperate need of a revamp, although I can see why it was put in place. I was excited by the new menu until I saw it first-hand. Even though I disagree with many of your arguments, I will continue to support the plan. Despite expecting it, I was disappointed by the result of the action. Although I can see why it was put in place, the uniform policy at Lutterworth College is in desperate need of a revamp. Until I saw it first-hand, I was excited by the new menu. When we embed a subordinate clause or phrase in the middle of a sentence using parenthetic commas, it’s another way of impressing the examiner. The key thing is that your embedded clause/phrase should be removable without destroying the sentence. Vegetarianism, despite people’s misconceptions about it, is a healthier way to live. If we took out the subordinate clause, we’d have Vegetarianism is a healthier way to live, which makes sense without it. Activity 3: Embedding subordinate clauses/phrases into main clauses. Below, you’ll find a table of main clauses and subordinate clauses/phrases. See if you can turn them into full sentences with embedded clauses. My English lessons, even though they were difficult, were the most inspiring ones I had. I saw the new Avengers film, which cost more than $200 million to make, at the Showcase last night. My teacher, a diligent and committed man, kept an eye on my progress. The best album of all time, Girls Aloud’s ‘Tangled Up’, was released in 2007. Think you’ve got it? Click here to take a cheeky little test that will email you your results. Are you a semicolon superstar? Find out by taking our cheeky little test. The majority of you did well on your Year 11 mock exams, but this report focuses on what could be improved in advance of the second set of English mocks in March. Make sure you stick to 15 minutes per question; Question 4 had the lowest average mark for this paper, which is possibly down to you running out of time. Refer to writers by their last names. You’re not friends with them. Start each question on a new side in the answer booklet. This makes it easier for an examiner to mark, and easier for you add extra content to in the event that you have some spare time. Try to begin each answer with a topic sentence that shows you’ve understood the question. Back up all of your points with quotations from the texts. Do what the question tells you to do. If you’re asked to divide an answer into two sections, do it. Take your time working out what you are being asked to do and make sure you’re doing it! The letter, for example, ought to have been addressed to a local newspaper, and yet around ¼ of you aimed it at the local council. Similarly, some of you thought it was the newspaper planning on running a festival. Read the task carefully. A ‘lively’ article should be entertaining, and not dull. Many of you wrote articles on social networking that felt more like advisory leaflets. Think carefully about your audience. The article, for instance, was aimed at students your age, and so the best responses were a little more casual and entertaining. Adopt the right form for your text. Letters need addresses – and these need to be in the right place. 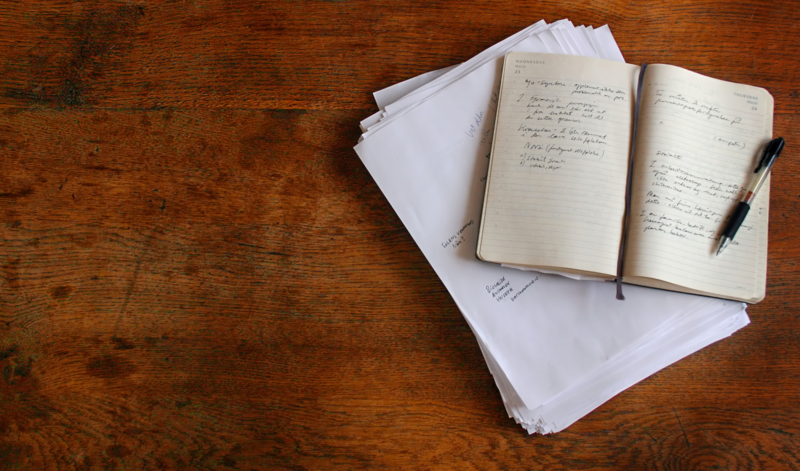 Articles need headlines and bylines, and these should be engaging – not dull. Plan your pieces of writing and include these plans in your answer booklet so that the examiner can see you’ve given your work some thought. Well-planned pieces almost always achieve higher marks. A strong set of arguments is always preferable to simply crowbarring in the persuasive devices. Basic errors meant that the average mark out of 7 was for SPPS was under 3. There is no excuse for failing to start sentences/proper nouns with capital letters. Commas should not be used to separate sentences. Using a range of punctuation (beyond full stops, commas and apostrophes) accurately and for effect.